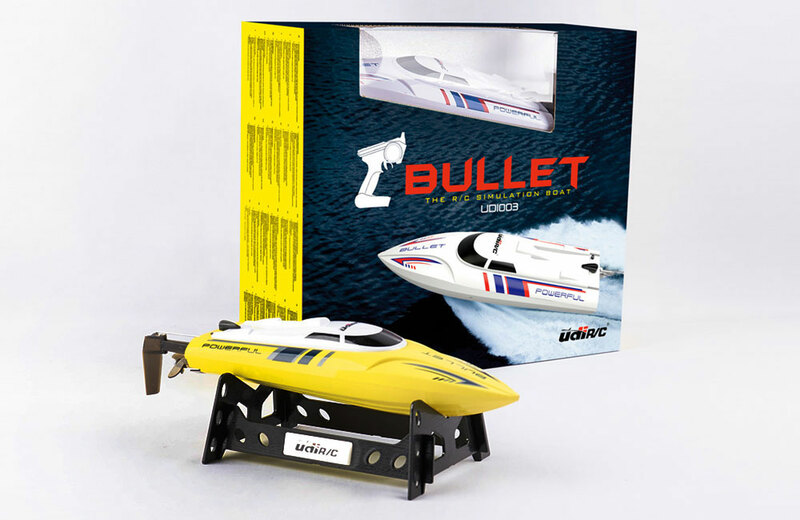 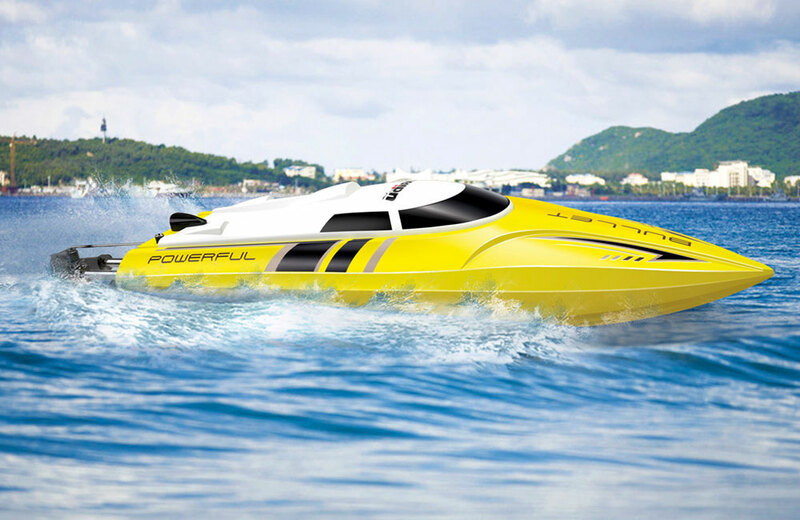 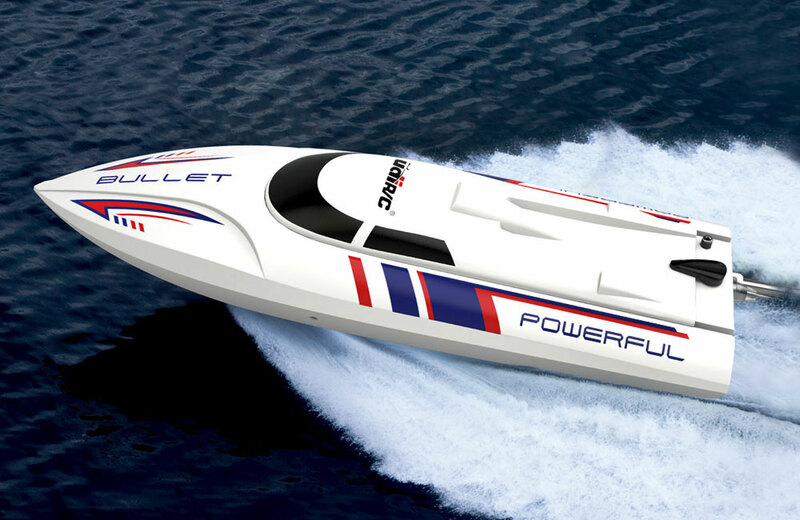 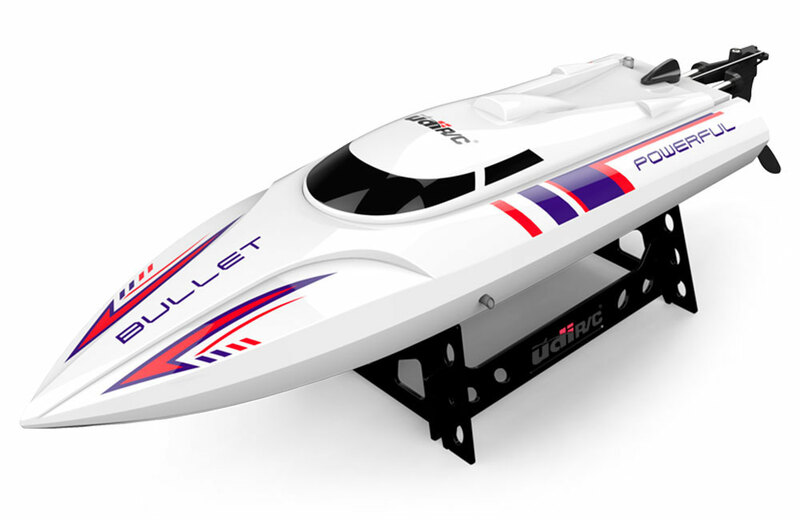 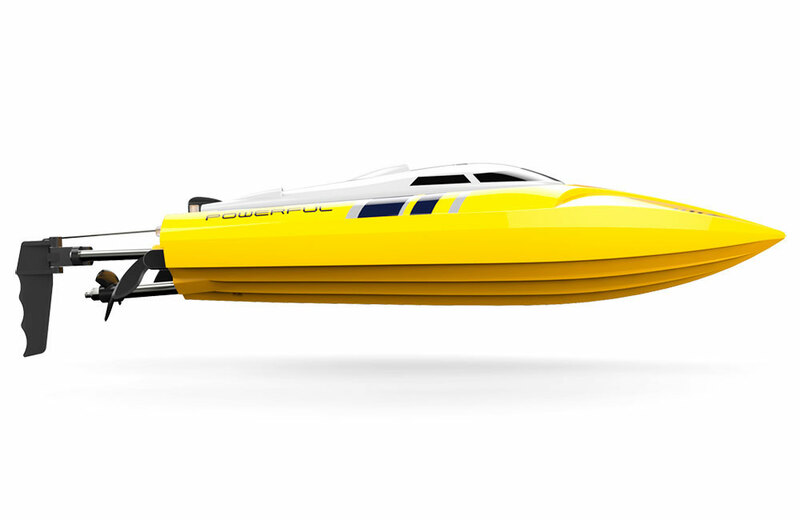 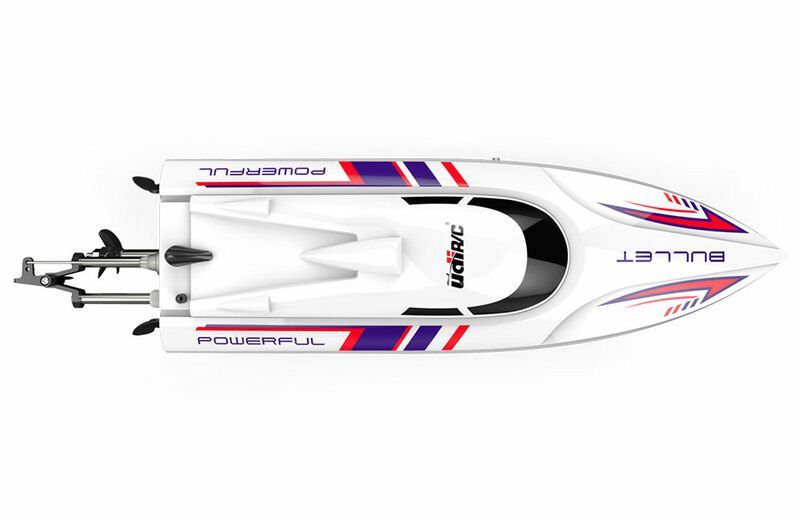 The Bullet speedboat from UDI supplied 'Ready to Run' out of the box with an impressive list of features. 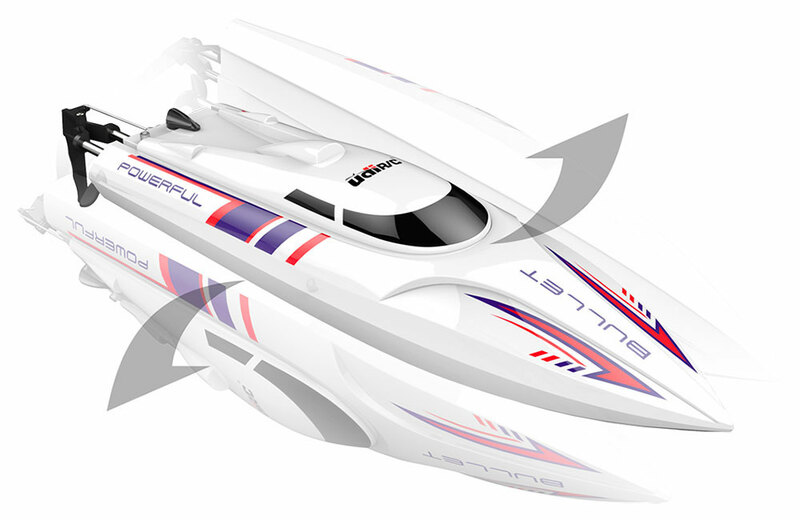 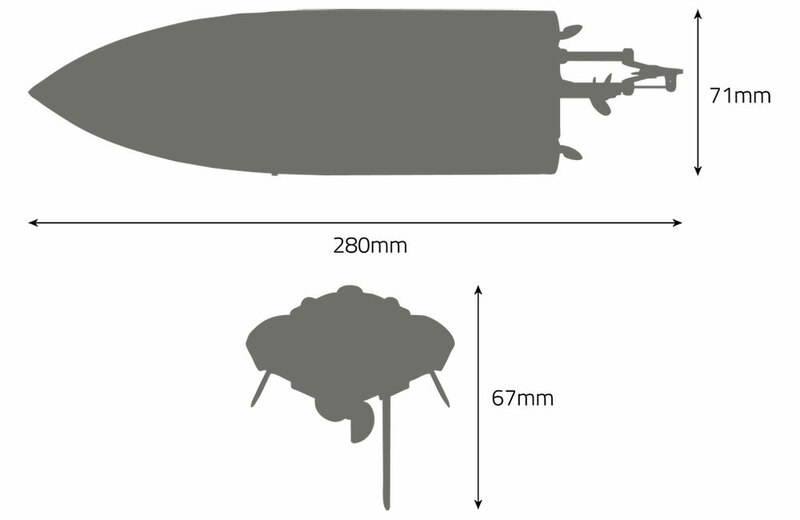 The hull is moulded from tough plastic and has been designed to self-right if flipped over. 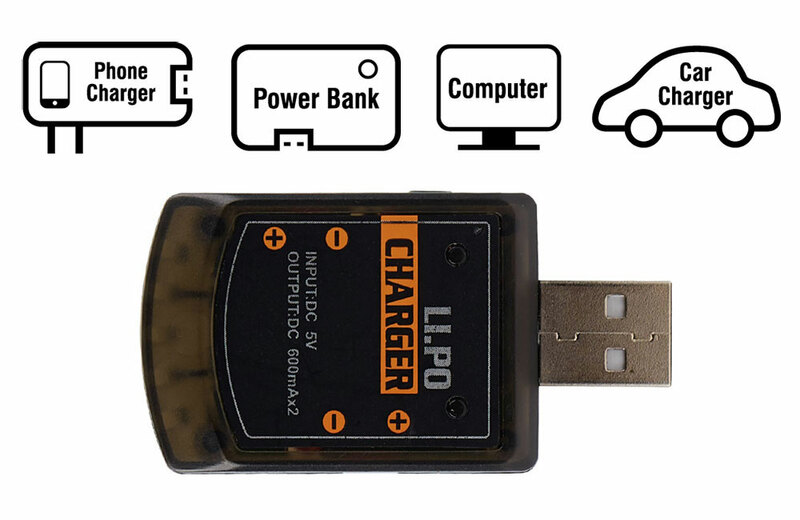 The battery is easily replicable under the large access hatch and the hatch seals tight and locks in with a simple twist clip. 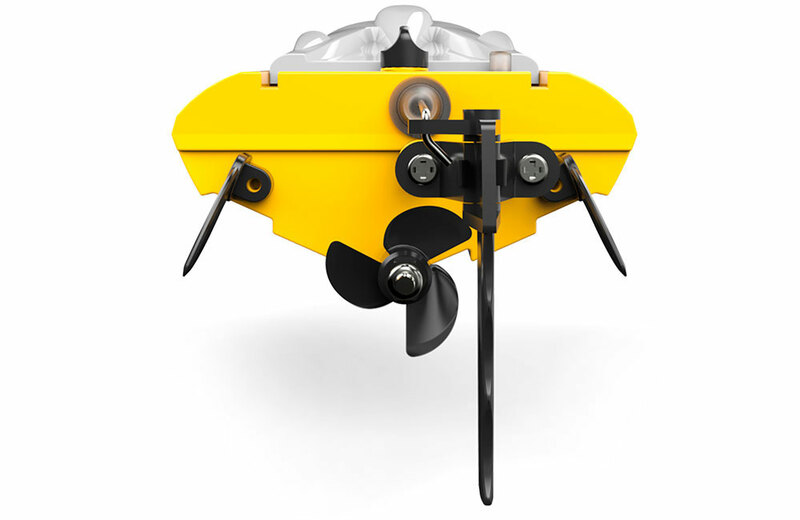 For safety in the bottom of the hull there are electrical contacts that can sense if the boat is in water before it lets you start the motor, to help prevent any chance of accidental injury. 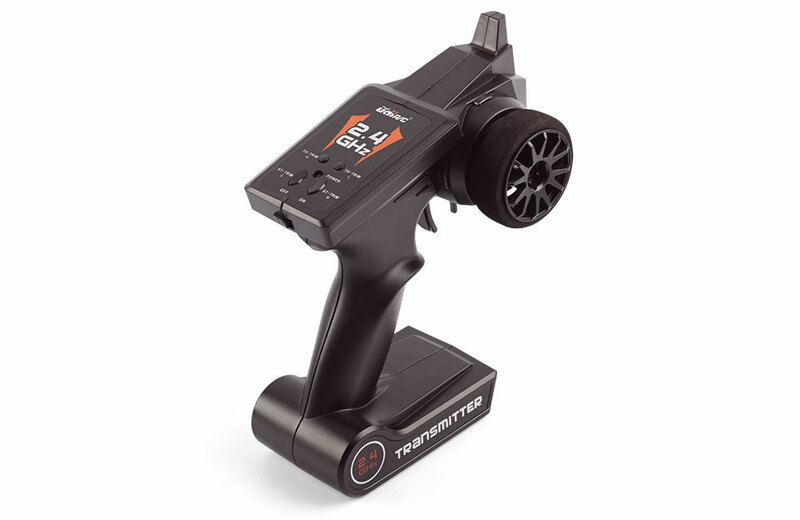 The radio is 2.4GHz and provides a great reliable connection with some great telemetry features. 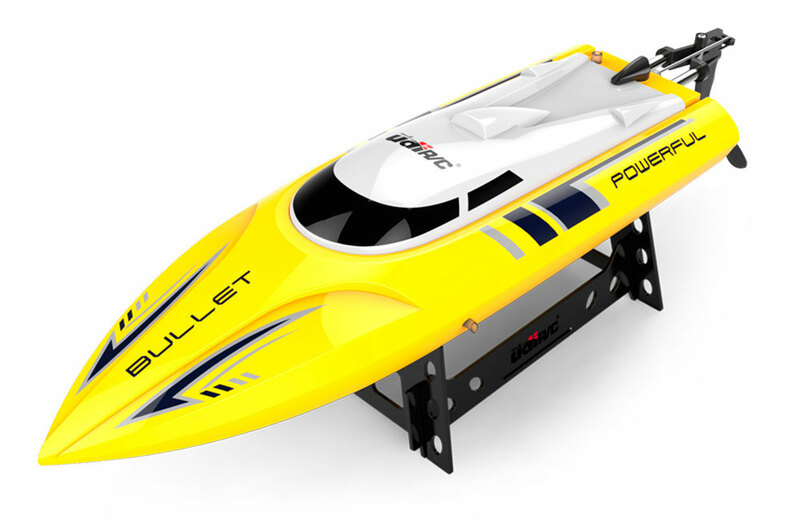 If you drive the boat to the end of its large 150m range then the LED on the controller will start flashing to show the signal is weak and you should return. 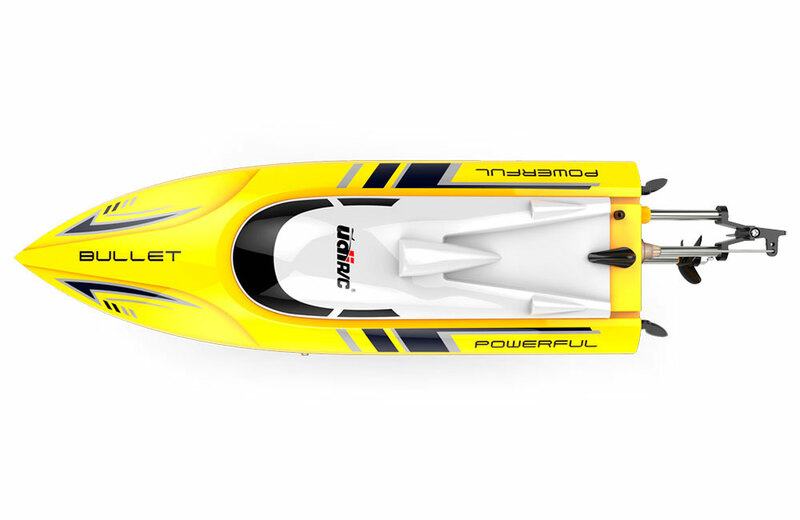 And when the boat starts to run low of battery you can head a bleep telling you should return and recharge/replace the battery. 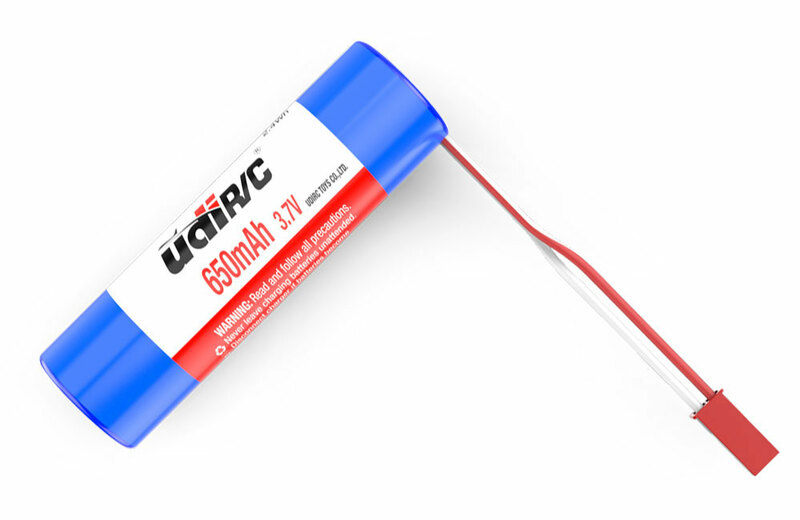 Required to Complete: 4 x 'AA' batteries for the controller.